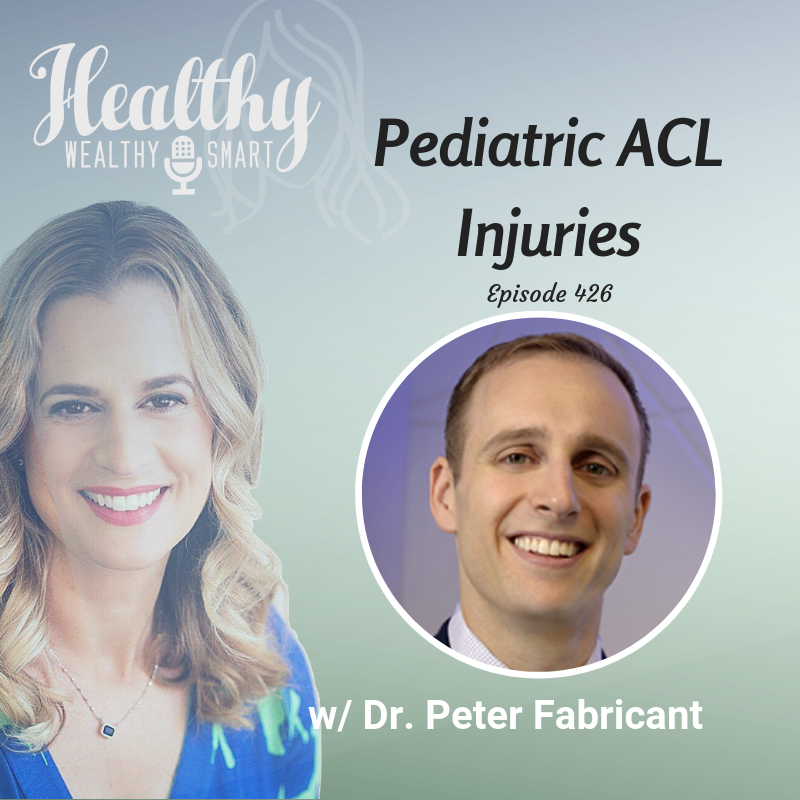 On this episode of the Healthy Wealthy and Smart Podcast, I welcome Dr. Peter Fabricant on the show to discuss pediatric ACL injuries. Dr. Peter Fabricant is an orthopedic surgeon specializing in pediatric and adolescent orthopedic surgery. His clinical expertise is in sports medicine and trauma surgery of the knee, hip, shoulder, elbow, and ankle. Dr. Peter Fabricant is an orthopedic surgeon specializing in pediatric and adolescent orthopedic surgery. His clinical expertise is in sports medicine and trauma surgery of the knee, hip, shoulder, elbow, and ankle. Dr. Fabricant completed his undergraduate studies at the University of Rochester, graduating with honors. He then attended Yale University School of Medicine. During his orthopedic surgery residency training at Hospital for Special Surgery, Dr. Fabricant earned a Master of Public Health Degree from Columbia University, and won several awards for excellence in patient care and innovation in patient safety. 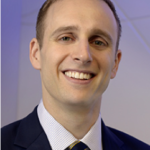 Following residency, Dr. Fabricant completed two fellowships: first in pediatric orthopedic surgery at The Children’s Hospital of Philadelphia and the second in sports medicine at Boston Children’s Hospital. This afforded him the unique opportunity to study with renowned mentors at both institutions, including Dr. Lyle Micheli, Dr. Mininder Kocher, and Dr. Theodore Ganley, in order to compile additional subspecialty training uniquely focused on the care of children and adolescents with sports-related injuries. He has cared for athletes and performers at all levels, including the Boston Ballet, Babson College, the International Skating Union World Figure Skating Championships, and the Boston Marathon. Dr. Fabricant is an accomplished researcher, with over 100 peer-reviewed publications and 15 book chapters in circulation. He has received multiple institutional, national, and international awards for clinical research, including the Herodicus Award (AOSSM), the Excellence in Research Award (AOSSM), and the Promising Career Award (PRiSM Society), among others. Dr. Fabricant currently serves on several research and education committees in two international professional societies (POSNA and PRiSM). He is a member of several pediatric orthopedic and sports medicine research consortiums, through which he participates in cutting-edge multicenter clinical research studies with many of the most prolific researchers in pediatric and adolescent sports medicine. He also serves on the editorial boards of Clinical Orthopaedics and Related Research (CORR) and the Journal of ISAKOS, on the Peer Review Committee for the Orthopaedic Research and education Foundation (OREF), and as a reviewer for several academic orthopaedic journals including the Journal of Bone and Joint Surgery (JBJS), the American Journal of Sports Medicine (AJSM), and the Bone & Joint Journal (BJJ). Dr. Fabricant understands the physical and emotional complexities of injuries in youth and adolescent athletes. Sports and recreational activities provide social, emotional, and physical development, leadership skills, and encouragement for children to work as a part of a team with their peers. Dr. Fabricant has dedicated himself to addressing sports injuries in the context of all of these important issues and strives to return his patients back to their sports and activities as quickly and as safely possible, while minimizing the risk of future injury and prioritizing their long-term health and well-being. Karen Litzy: 00:00 Hi Dr. Fabricant Welcome to the Healthy Wealthy and Smart Podcast. I am so excited to have you on today to talk about pediatric ACL injuries. Karen Litzy: 00:13 So we’re just going to kind of jump right into it because I know our time is limited here so the reason that I wanted to do this is because I have a patient now with an ACL tear who had surgery and there seemed to be a lot of questions in the rehab world around this population. So after a confirmed ACL tear in a pediatric patient can you take us through your decision making process as to whether or not that patient will have non-surgical treatment which would mean high quality rehab or ACL reconstruction plus rehab. Dr. Fabricant: 00:53 Yeah that’s a really great question. So historically kids who still had you know growth remaining who had open growth plates would kind of be held off until they were fully grown and then have an ACL reconstruction then. But we know that that’s not the ideal thing to do just because they have an unstable knee they can develop cartilage and meniscus injuries that might not be repairable once they reach the maturity but there are a subset of patients who tend to do pretty well without surgery and with high quality rehab alone. And so typically when I’m evaluating a patient the ones that tend to do well with high quality rehab alone would be typically younger patients. So kids who are like under 14 years old and kids who have non full thickness ACL tear. So like a partial ACL tear like a 50 percent tear. Dr. Fabricant: 01:49 And so kids who are young and who have you know a 50 percent partial tear their ACL who have rotational stability of their knee so their knee doesn’t kind of rotate during things like a pivot shift examination. Those are kids who tend to do pretty well without surgery with a period of protected weight bearing bracing and high quality rehab. When I’m seeing kids who are either older and or have a full thickness ACL tear with a really unstable knee those tend to be the kids who we recommend surgery for especially if they’re involved in cutting or pivoting sports jumping or landing sports things like that. So that’s basically how I approach it in general. Karen Litzy: 02:34 And so let’s talk about the surgical procedures because there are several surgical procedures one can do on a pediatric ACL patient taking into account the growth plate damage. How do you decide which surgical procedure to do with this population? Dr. Fabricant: 02:57 I think that’s a great question too. So I kind of think about these kids in three groups. Dr. Fabricant: 03:04 Let’s go from kind of oldest to youngest so the oldest type of kid is the kid who either has growth plates that are closed or near closed or they have very little growth remaining let’s say like less than six months of growth remaining. Those are kids that I kind of think about a little more like adults. But then within that within kind of specific to your question the kids who have open growth plates. The question I ask myself are kind of are these kind of the youngest kids like prepubescent kids. So those are kids with greater than 2 years of growth remaining. In girls, those who haven’t had started having their periods yet. In boys and girls kids who really haven’t had a growth spurt or who are kind of prepubescent. Dr. Fabricant: 03:53 There’s kind of that group and then there’s the pubescent kids who are between let’s say two years of growth remaining and six months of growth remaining you know in girls let’s say they’ve had their periods for a year, in boys they may have already showed some signs of puberty or of their growth spurt. So those are kind of the pubescent kids even though they have growth remaining and so in thinking about a reconstruction technique I try to figure out are they in the prepubescent group or the pubescent group. And then there are a couple of different described surgical procedures in each but in broad generalities the prepubescent group you need to really avoid the growth plate completely and so that can be done either with techniques where you do drill tunnels in the bone but you confine it to the epiphysis of the bone or the area that’s kind of away from the growth plate or you can do a procedure where you’re not drilling any tunnels which would be like the IT Band ACL procedure and that those both can protect the growth plate and they’re both been well described and then in the kids who are pubescent who have growth remaining but maybe not so much growth remaining those kids you typically can drill tunnels in the bone but you just need to use a graft that’s made of soft tissue because if you take let’s say a bone plug from a graft and fix it across the growth plate that can inhibit their growth and cause a limb length deformity limb length discrepancy or like an angular deformity of the limb. Dr. Fabricant: 05:31 So that’s kind of how I think about the two groups that still have growth remaining and taking surgical procedures. Karen Litzy: And does the activity of the child come into play when deciding on which procedure to do or is it really just their kind of bony anatomy and age. Dr. Fabricant: Yeah it’s mostly their age and skeletal maturity and their developmental maturity. The sports sometimes come into play when you’re deciding whether or not to do a reconstruction but once you kind of made the decision to do a reconstruction you know which technique you choose is typically chosen based on their skeletal maturity. Karen Litzy: 06:11 Got it got it. And then you sort of alluded to this a little bit earlier talking about the meniscus but why is the health of the meniscus so important in the pediatric ACL patients. Karen Litzy: 06:22 So from what I’ve read it seems like if there is a bucket handle tear or other repairable meniscus injury surgery is really warranted. Why is that? Dr. Fabricant: 06:42 So if there’s the meniscus is pretty precious tissue and it’s really the shock absorber of the knee but it also provides secondary stability to the knee, nourishment of the joint. It provides congruence between the femur and the tibia and so it’s really important to try to save as much meniscal tissue as possible and then these kids obviously have quite a long life ahead of them and many have a long athletic career ahead of them. So you definitely want to save as much meniscus as possible so if there is a large unstable meniscus tear and the knee remains unstable it’s likely to continue to degenerate whereas if you go and stabilize the knee and fix the meniscus you have the best chance at preserving that tissue and getting it to heal. Karen Litzy: 07:20 Yeah that makes sense. And now for a lot of my listeners who are physical therapists this is sort of the money question right. Karen Litzy: 07:27 What are the most important considerations for rehab after these physeal-sparing ACL reconstruction surgeries? Dr. Fabricant: 07:36 So it’s interesting there’s not like a really strong evidence base about like specific things with rehab but I would tell you that kind of the way that I approach it and kind in in broad generalities typically the first six weeks are where there’s the biggest difference depending on how the procedure goes. So if if it’s let’s say a procedure where you’re drilling tunnels and fixing it with implants you know those kids can tend to weightbear relatively soon the implants tend to confer a lot of stability to the graft and allow the body to heal the graft. If there’s a meniscus repair at the time of surgery, I tend to protect the weight bearing for a total of six weeks just to let the meniscus heal and in the kids who end up getting the IT Band ACL because there are no tunnels drilled in the bone and therefore there’s no like screws holding the graft in place and the graft tends to be fixed to the periosteum of the bone or the skin around the bone with heavy duty suture. Dr. Fabricant: 08:39 Those kids I tend to protect for six weeks regardless of if they’ve had a meniscus tear repaired just because I want to make sure they’ve started to have some biologic healing of the graft before I let them really bear full weight. So for me the first six weeks are kind of the most critical portion where if I’ve done a IT Band ACL and I’m kind of relying on suture for fixation I tend to protect their weight bearing a little longer but once they hit about six weeks for me at least the rehab tends to progress the same whereas essentially all kids are kind of started to wean off crutches by six weeks starting to work on strengthening and then for me I tend to let kids start to jog around 12 weeks and from there on it’s pretty similar rehab to the adult rehab. Karen Litzy: 09:24 So why with the ACL reconstruction using the IT band, why is no lunging a precaution with this population. Dr. Fabricant: 09:37 When I was in training I had some of my mentors would say that they found that kids who load the knee from a flexed position after any ACL reconstruction tend to kind of flare the knee up especially in the early phase and so I tend to tell kids to avoid you know deep lunges and squats early on. So that’s just something that I do I don’t know that there’s a lot of great evidence for that but it seems to have worked for some of my mentors and so I’ve kind of adopted it into my practice as well. Karen Litzy: 10:13 Got it. Got it yeah. Because I read that out of Boston right. And OK so that makes a lot of sense because I often wondered. Karen Litzy: 10:24 Well they can jog and run but they can’t squat or they can’t lunge. And is that obviously to protect the knee and is that also to maybe protect secondary problems like patellar tendinopathy or something like that. Dr. Fabricant: 10:38 You know right after surgery there is a bit of inflammation going on in the knee and so certainly doing like deep squats and lunges can increase the risk of further inflammation. Dr. Fabricant: 10:50 But I really do like squats like leg presses that go down to about 90 degrees of knee flexion. I really find it helps strengthen the knee without inflaming it too much. But you know the physical therapist that we work with tend to do that and the patients do pretty well and they end up building it pretty quickly. Karen Litzy: 11:12 That makes sense. And now let’s talk to a lot of these kids want to return to sport. I mean you’re working with kids all the time as you know their attention spans are a little short and they’re all really excited to get back to sport A.S.A.P. but according to the IOC consensus on pediatric ACL they recommend waiting twelve months to return to sport. So what is your thought on that? Dr. Fabricant: 11:43 Yeah I would say the short answer is I agree with that completely. I typically mentally prepare kids for a year to return to play. Dr. Fabricant: 11:53 I think that you know there’s really three things you need in order to successfully return back to sports safely. So one is the anatomy which is really the job of the surgeon and reconstructing the anatomy. The other is you know strength and balance and coordination which is a team effort between the physical therapist and the patient and the surgeon as well. And then the third thing is just time. So it just takes about a year for the graft to incorporate and mature and remodel and kind of be biologically ready. And I think that’s the hardest part about this surgery is really kind of keeping the kids engaged for a full year. I think kids sometimes hear about some professional athletes who get back to sports sooner than a year and so they feel like they want to get back sooner than a year. Dr. Fabricant: 13:24 That puts them at such high risk that they’re gonna tear their ACL when they’re 11, 12, 13, 15 years old. They’re at higher risk patient than the guy or gal who goes through you know high school and college and professional sports before tearing their ACL. They’ve made it through let’s say 30 years of life before tearing their ACL. So I tend to try to kind of work with kids and families and say you know look you’re a higher risk than a professional athlete for one and two you know all they do all day is rehab and it still takes them a year to get back to sports. So I tend to agree with the one year recommendation. I tend to let kids just because they’re itching to get back. I tend to let them do some light practice with their team at the beginning of the following season. So for instance if a kid injures themselves midway through a soccer football season in the fall you know usually it’s around nine or 10 months till the next beginning of the next season I say that they can do some kind of non contact practice with their team just so they can stay involved. But I do agree with the one year before they’re really kind of on the field or the court competing with other kids. Karen Litzy: 14:33 Yeah and I’m so glad that you brought up what they see on TV and what they hear or see on social media because that’s something that’s so pervasive amongst a lot of these kids and they think someone else did it. They should be able to do it too. So I thank you for that. And I think that advice to tell the parents and to keep reiterating that to the patient to the pediatric patient is so important because boy they just want to every day. Well when can I do this. Well when can I do that and being able to keep them like you said motivated but realistic expectations and being honest is a challenge. Dr. Fabricant: 15:14 Yeah you’re totally right. I think that even setting expectations before surgery you know they kind of forget you know when their knee starts feeling pretty good around three or six months but you know I think the other important thing is that you know what they hear on TV and in social media tends to be the exceptions to the rule rather than the average. Dr. Fabricant: 15:31 So they hear about the person who gets back to sports at six or seven months but they don’t necessarily hear about the people who take a year and a half to get back to sports in the pros or who don’t make it back to sports in the pros. So I think you know also telling them they’re probably getting a bit of a biased view when a lot of these kind of news outlets kind of sensationalize people who are getting that quickly they think it’s the norm when actually it’s the exception. Karen Litzy: 15:54 Absolutely. I just had this conversation the other day about what a bell curve is and how some people are on one side some people are on the other but most people are in the middle. Karen Litzy: 16:04 And to really keep that in mind when you see these big extremes so now is there anything else that you would like to add as far as let’s say speaking to physical therapists or people who are going to be working with your patients. Anything else you would like to add as far as the pediatric ACL patient is concerned. Dr. Fabricant: 16:27 Not not really. I think we really kind of touched upon all the important topics. I think it’s just important to understand a lot of people are really beginning to realize that you know kids aren’t just small adults and they have their own unique considerations both with the surgery and in the rehab and in the kind of mental preparedness for sports. And so I always really enjoy working with therapists who enjoy working with kids and engaging kids because it’s not just that the surgery and even the exercises are different it’s the whole kind of mindset and the approach. And so when the whole team is on the same page it’s always really rewarding. Karen Litzy: 17:09 Awesome well thank you so much for taking the time out. And where can people find more about you if they would like to know more about you and what you do and have any questions. Dr. Fabricant: 17:18 Yes so I practice at the Hospital for Special Surgery so they can go to the hospital for special surgeries Web site which is a Hss.edu they can look me up on that Web site or they can Google search my name at HSS and we’re here and happy to take care of our youth athletes who get injured. Karen Litzy: 17:39 Awesome. Well thank you so much and everyone else. Thank you so much for listening. Have a great couple of days and stay healthy wealthy and smart.